In recent decades, stress response models of adolescent depression have gained attention, but it remains unclear why only certain adolescents are vulnerable to the depressogenic effects of stress while others are not. Building on evidence that affective and physiological responses to stress moderate the impact of stress exposure on depression, the current study examined whether the interaction between severity of interpersonal stress, subjective affective reactivity, and hypothalamic-pituitary-adrenal (HPA) axis reactivity to an acute, in-vivo psychosocial stressor prospectively predicted depressive symptoms nine months later. Hypotheses were examined with a clinically-oversampled group of 182 adolescent girls (aged 12–16) to ensure an examination of the widest possible range of risk. Self-report measures of affect and salivary cortisol samples were collected before and after an in-vivo stress task to assess affective reactivity and HPA axis reactivity, respectively. Severity of interpersonal stress between baseline and nine months was assessed using a semi-structured interview and was objectively coded for severity and content theme (i.e., interpersonal vs. non-interpersonal). 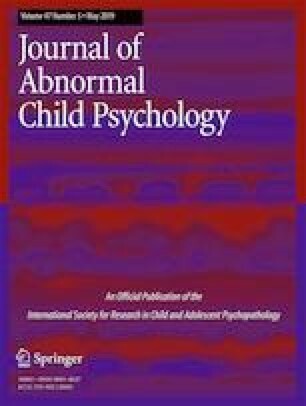 Results indicate that experiences of severe interpersonally-themed stress predict elevated levels of depressive symptoms longitudinally only for adolescent girls with elevated affective reactivity to stress, and suggest that these deleterious effects of stress are most exacerbated for girls with elevated physiological responses to stress. Findings suggest that it may be critical to examine both affective and physiological stress responses when assessing risk for depression in adolescents. Thanks to Michael Arthur, M.S. SLP, Daphne Cole, Kathryn Fox, Michael Giordano, Karen Guan, Shahar Gur, Brian Lattner, M.S., Alyssa Poblete, Leigh Spivey, and Julia ter Haar for help with data collection and to all of the adolescents who participated in this project. This work was supported in part by a grant from the National Institute of Mental Health (R01-MH085505) to Mitchell J. Prinstein and Matthew K. Nock. Watson, D., & Clark, L. A. (1999). The PANAS-X: Manual for the positive and negative affect schedule - expanded form. Department of Psychological & Brain Sciences Publications. Retrieved from http://ir.uiowa.edu/psychology_pubs/11.